On 23rd May, something extraordinary happened at the South Pole. For the first time in 4 million years, carbon dioxide concentrations cleared 400 parts per million (ppm). 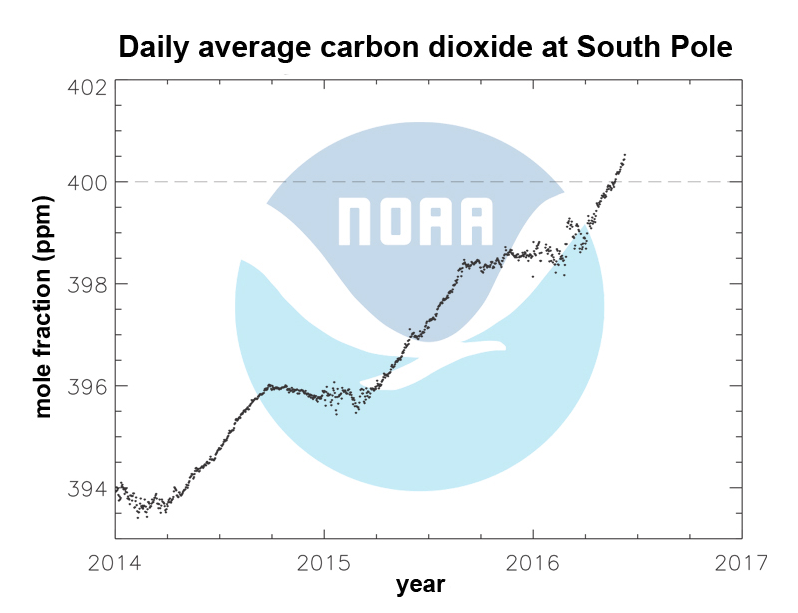 It’s the last climate-monitoring spot on Earth to pass the historic milestone.